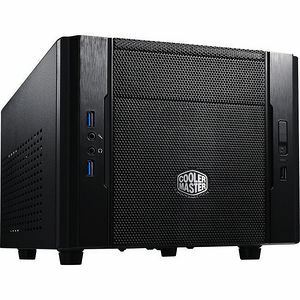 The Elite 130 is the successor to the widely popular Elite 120 Advanced mini-ITX computer case by Cooler Master. This time around, a meshed front panel has replaced the Elite 120's aluminum panel for enhanced cooling performance. Additionally, HDD/SSD mounting have been rearranged to allow water cooling support at the front of the case, adding to the overall enhancement of cooling performance. If you're looking to build your next system inside a small profile chassis, the Elite 130 is the way to go to ensure that your components stay nice and cool.